A prolific and popular writer of alternate history novels, Harry Turtledove was inspired to study Byzantine history after reading L. Sprague de Camp's 1941 novel Lest Darkness Fall, and eventually earned a Ph.D. in that subject from UCLA. Early works, including first novel Wereblood (1979; uncharacteristically, a sword & sorcery novel) appeared under the name "Eric G. Iverson". Turtledove's long running "Videssos" cycle, about Romans transported to another universe, began in 1987 with The Misplaced Legion. Among many works since then are Agent of Byzantium (1987), US Civil War novels The Guns of the South (1992) and How Few Remain (1997), a series about aliens who interrupt World War II beginning with In the Balance (1994), and Ruled Britannia (1992), about a Britain conquered by the Spanish Armada. His short fiction includes the Hugo Award winning novella "Down in the Bottomlands" (1993), Hugo and Nebula nominee "Must and Shall" (1995), and Hugo nominee "Forty, Counting Down" (1999). 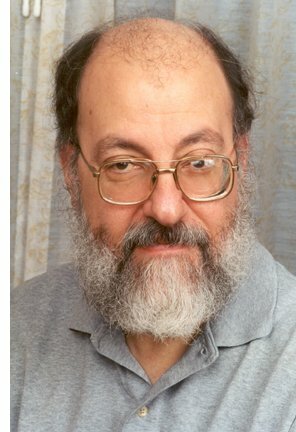 The Harry Turtledove Website, maintained by Steve H Silver, catalogues the author's many works. The full interview, with biographical profile, is published in the February 2003 issue of Locus Magazine.